Editor’s note: This post was originally published on November 5, 2008. It was substantially revised and re-posted on February 25, 2013. She rhymes with Paris, but this tailored name is Welsh, not français. 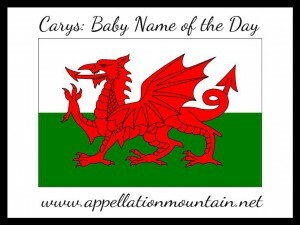 Thanks to Corinne for suggesting our Baby Name of the Day: Carys. You might hear Carys described as a traditional Welsh girls’ name. I suppose that’s not untrue. She’s been in use since the twentieth century, so you could meet a grandmotherly Carys. But it would be better to think of her as a relatively modern innovation, a cousin for Brooke. Most of the names chosen by Welsh parents would blend in on an American playground. But Carys is among a handful of similar names currently in the nation’s Top 100: Seren, Cerys, Bethan, Cadi, Lowri. 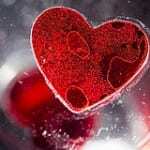 Carys comes from caru – love. This ties to her to some ancient names that share similar elements, like Caradoc or Caradog. Worn by a a first century British chieftain, an eighth century king and a Knight of the Round Table in Arthurian legend, Caradoc is seldom heard on children today. Still, Caradoc could put Carys in the company of names like Samantha and Maxine – the masculine forms date back centuries, while the feminine forms are relatively young. Ceridwen, a Welsh goddess, though she’s usually said to be derived from cerdd – poetry. Charis, a Greek name meaning grace. The ch sounds like a k, so Charis and Carys sound alike. Charis was the wife of Hephaestus. There’s also a minor goddess named Charis, one of the three Graces. Carys has yet to crack the US Top 1000, but she’s gained in use over the last decade. That’s largely thanks to Catherine Zeta-Jones and Michael Douglas. The pair chose the name for their daughter, born in 2003. Other feminine forms of Charles include Carla and Carlotta. Nicknames like Carrie and Carly are also bestowed independently. Cara is an Italian name meaning beloved – one that rose in the US around the same time Welsh parents embraced Carys. Elaborations like Carissa and Carina are also heard. Let’s not forget the operatic Carmen. Katherine-nickname Karen is another favorite. Surnames like Carson are sometimes bestowed on girls – likely because it leads so logically to Carrie. It’s easy to imagine parents considering Carys as an update to Carol or an alternative to Cara. Spelling variant Karis also ranks in the US Top 1000, but whether she’s an invented name inspired by all of the Car/Kar names, or a spin on Carys, it is impossible to say. Karis is also the name of Mick Jagger’s firstborn daughter. Overall Carys makes for a feminine, but decidedly frills-free pick – a winning combination in 2013. Carys is a compromise between a thoroughly modern pick like Sloane and a restrained vintage choice like Alice. And as Welsh heritage choices go, Carys is far easier to wear than, say, Ceridwen. If you’re looking for a name that feels modern without being completely invented, this is a great option. I named my daughter Carys last year and so far have gotten a lot of “Carries” as in the verb, which just doesn’t make sense to me. I also got one “Harris?” I worried about the pronunciation for a little while and then realized that I’m American and should pronounce it as such. Once it’s all cleared up people love the name and are curious where I found it and then I get to relay the amazingly romantic story about finding it on a blog (Swistle). I love my name too!! And we all mean “love” in Welsh – Carys / Cerys is from ‘cariad’. 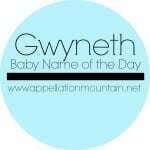 Cerys is a different take on Carys, but people don’t forget you – i think this is certainly helped by the unusual name. As to you lovely Carys’ being called Cerys, you should hear some of the mispronunciations us Cerys’ get!! Cerrise, Karen, Neris, Cherries..some have shortened my name to Ces, which I don’t mind, but is a shame they miss out on saying the beautiful full Welsh version. I take it as a challenge to spread the love through our name…it gets tiring sometimes when people get it wrong, but we just gotta let those poor people who are yet to have the joy of knowing one of us discover the wonder of Cerys / Carys!!! By the way there is also the boys name Ceri / Ceridigg – king of Ceredigion in Wales. I HATE it when people call me “Cerys”, its like calling someone called Alice Alicia or something, its different and really annoying! My daughter was born in 2000 and we wanted her initials to be “ceo”. One of the names we found was Carys. We loved it, but no one in our family’s got it. We pronounce her name Carys like Paris,, but we are aware that the proper Welsh version is kher es. Later, we found out it meant love and grace (in greek) and the name fit her. The nice thing about her name is that everyone in her 450 person school knows her by name. It helps that she has a great personality. I love her name and wish everyone the best. I like the look of Carys but really don’t like her harsh sound – the Welsh singer Cerys Matthews pronouces her name KEHR iss, and from what I can tell the Carys spelling is pronounced (at least in the couple of instances I’ve heard it used) as Verity indicated: KAHR iss. Actually, I’m stumped by what to say about the pronunciation. The Welsh Language Board lists both Cerys and Carys as among the most popular names in use, but Carys has a slight edge – she’s #21 versus #29. I love Carys. It’s been on my list for a while, but some people might mispronounce it so I’d be better off saving it for a middle name. I worry about the Paris issue too. Paris Hilton ruined that name for me, since she steals other celebs’ boyfriends and she thinks she can get what she wants cuz she’s rich. She comes across to me as a sl**. I never liked Paris as a name anyway, but Ms. Hilton made it worse. Carys might also be mistaken for Paris, but otherwise, it’s a really cute, but sophisticated name. I really like it. But I thought it was usually spelled Cerys and pronounced Kerris. I quite like this name. Although i don’t think the correct pronounciation is “Car iss”, i know people named this and they pronounce it Keh riss. Thanks Verity. That’s the most recent tiny picture I have of her, from the beginning of spring. her hair is sooo much longer now! If I can make an adequate newer one, I shall. Another, I apologize – you may have! I still don’t have a great system to track all of this, so I usually only credit the person who suggests it when I actually add it to the calendar – an imperfect system. And I did worry about the Paris rhyming issue. Even without Ms. Hilton, it feels like Paris might be trying a *bit* too hard as a name. With Ms. Hilton? It’s really problematic. Carys though? I love Carys! If Arthur’s last name didn’t start with an S, I’d shortlist it. BTW, Lola, I keep meaning to tell you how much I love your little Fifi icon! What? I thought I suggested Carys! Hmph. Yeah. I love this one. Love it, love it, love it. The only problem I have is that when I suggested it to my friend, she thought I was saying “Paris”. I would not want that mistake to be oft repeated! Paris (to me) is trite and tacky, thanks to Ms Hilton, but Carys still sounds fresh. I LOVE Carys, and I’m so glad to see it as name of the day. I’ve lurked on this site for a long time, but this inspired me to say something. 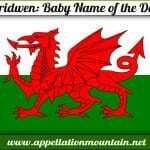 What’s really funny is that I actually thought I made it up by combining my mom and mother-in-law’s names in looking for a name for a baby girl–then I found out the Welsh origins a little while ago. We’ll see if we use it…it’s in my top 3 right now, and we find out whether it’s a boy or a girl in the next few weeks. […] the total number of polls in the girls’ post? […] other ends in -s feminine names. 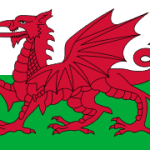 […] Carys – The Welsh name meaning love has attracted more attention since Hollywood power couple Michael Douglas and Catherine Zeta-Jones gave the name to their daughter.